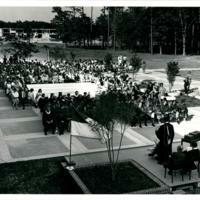 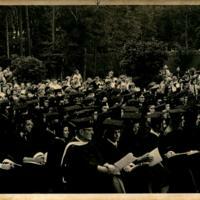 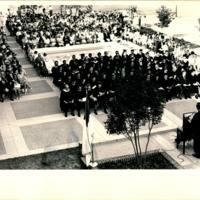 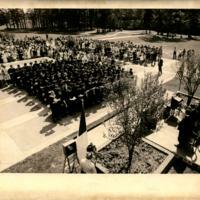 Students and guests seated and standing outdoors at the 1974 Virginia Wesleyan College commencement ceremony. 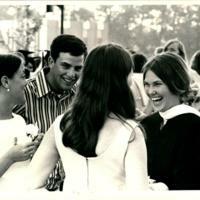 Graduate Judy Lynn Garland engaging with guests at the 1971 Virginia Wesleyan College commencement ceremony. 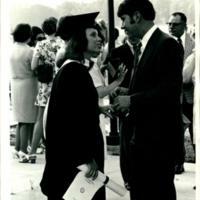 Graduate Lavina Christine Prescott speaking with a guest at the 1971 Virginia Wesleyan College commencement ceremony. 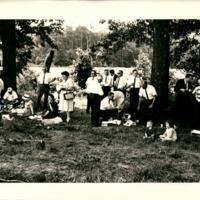 Guests picnicking in the field at the Virginia Wesleyan College Village 1 groundbreaking ceremony on July 18, 1965. 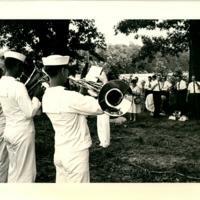 Brass Naval Amphibious Base Band members perform to an audience engaged in eating at the Virginia Wesleyan College Village 1 groundbreaking ceremony on July 18, 1965. 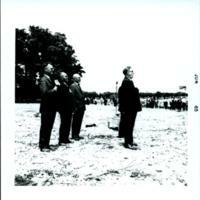 Dignitaries place hands on their hearts with spectators in the distance at the Virginia Wesleyan College Village 1 groundbreaking ceremony on July 18, 1965. 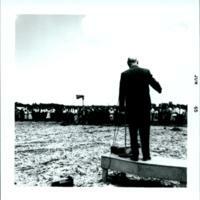 The back side of President Johnston addressing spectators at the Virginia Wesleyan College Village 1 groundbreaking ceremony on July 18, 1965. 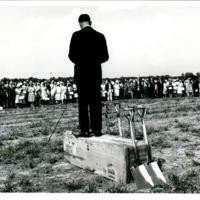 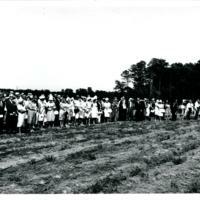 On July 18, 1965, spectators at the Virginia Wesleyan College Village 1 groundbreaking ceremony assemble in the corn field where the ground will be broken.. 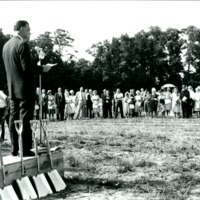 Lieutenant Governor Mills Godwin speaks to the spectators from the podium at the Virginia Wesleyan College Village 1 groundbreaking ceremony on July 18, 1965. 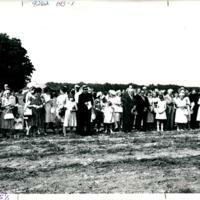 Spectators in attendance at the Virginia Wesleyan College Village 1 groundbreaking ceremony on July 18, 1965. 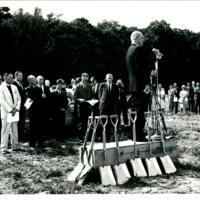 President Joseph S. Johnston addresses spectators and dignitaries at the Virginia Wesleyan College Village 1 groundbreaking ceremony on July 18, 1965. 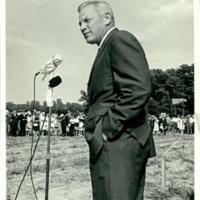 A close-up of Congressman Porter Hardy greeting guests at the first Virginia Wesleyan College Village 1 groundbreaking ceremony on July 18, 1965.